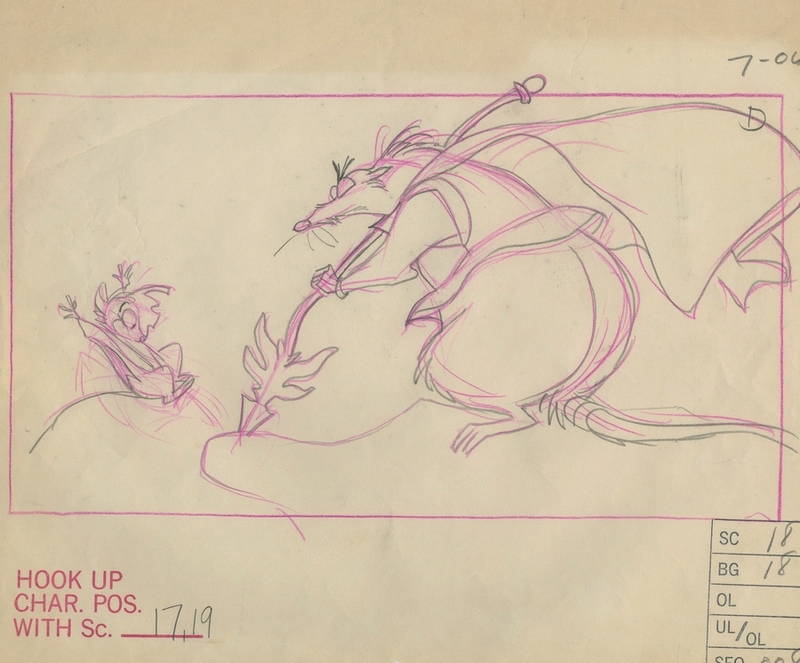 This is an original layout drawing from the Don Bluth Studios production of The Secret of NIMH (1982). 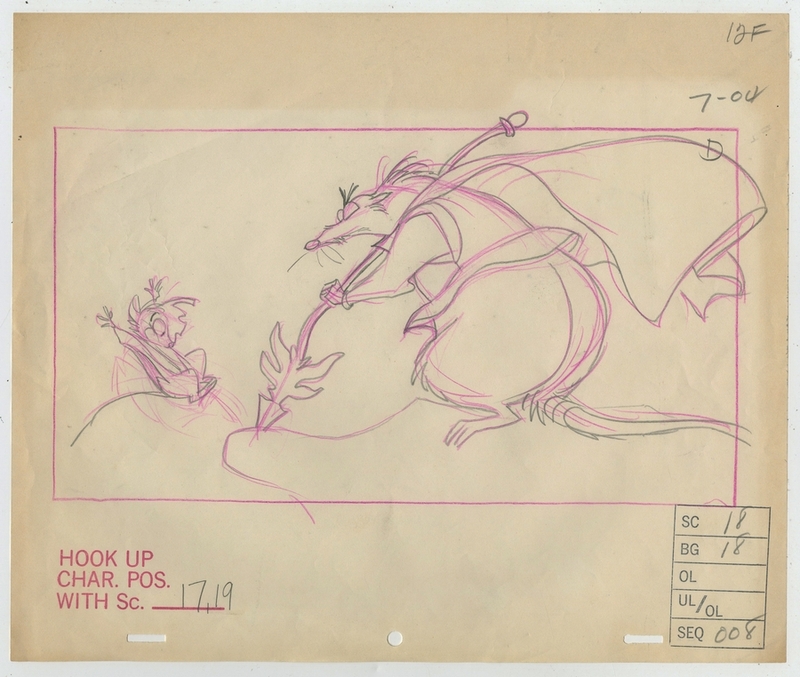 This drawing features powerful image from the scene where Mrs. Brisby and Jenner battle over the amulet, and was created at the studio and used during the production of the film. The overall measurements of the piece are 10.5" x 12.5" and the image itself measures 6" x 10.5". The drawing is in very good condition.